August 28, 2014 – (North County San Diego, Carlsbad, CA 92008, USA) – DIAMOND GRADER Click here for full details. August 28, 2014 – (, Minneapolis, MN , US) – Route Sales Representative Click here for full details. August 28, 2014 – () – Business Systems Analyst Click here for full details. August 28, 2014 – (San Diego Lindbergh International Airport (SAN), San Diego, CA 92101, USA) – Click here for full details. August 28, 2014 – (Philadelphia International Airport (PHL), Philadelphia, PA 19153, USA) – Now Hiring! Full-time Fuel Ops QC Technician at PHL Airport! Click here for full details. August 28, 2014 – (Honolulu International Airport (HNL), Honolulu, HI 96819, USA) – Full-time Terminal & Pipeline Operator! Now Hiring at HNL Airport!Click here for full details. August 28, 2014 – (3417 Weeden Creek Road, Sheboygan, Wisconsin 53081, ) – Warehouse Team Lead Click here for full details. August 28, 2014 – (, Huntsville, Alabama , US) – Mid-Level Software Developer Click here for full details. August 28, 2014 – (, Alexandria, Virginia , US) – Sr Weapons Systems Acquisition Analyst Click here for full details. August 28, 2014 – (San Diego, San Diego, CA 92110, USA) – Microsoft Certified Systems Administrator Click here for full details. August 28, 2014 – (Lexington Park, MD, Lexington Park, Maryland 20653, USA) – Computer Analyst Entrant for Aircraft Combat ID Systems Click here for full details. August 28, 2014 – (Lexington Park, MD, Lexington Park, Maryland 20653, USA) – Software Engineer Entrant for Aircraft Combat ID Systems Click here for full details. August 28, 2014 – () – Program Outreach Analyst Click here for full details. August 28, 2014 – () – Strategic Program Analyst Click here for full details. August 28, 2014 – () – Junior Analyst Click here for full details. August 28, 2014 – (, Cleveland, OH 44135, ) – Program Manager (285-845) Click here for full details. August 28, 2014 – (, Landover, MD 20785, USA) – Director of HR and Administration Click here for full details. August 29, 2014 – (, Draper, Utah 84020, United States) – Inside Sales Representative Click here for full details. August 28, 2014 – (, Fort Leonard Wood, MO 65473 , US) – Electronics Technician Maintenance III (1858-205) Click here for full details. August 28, 2014 – (, Nationwide Opportunities, Various States , U.S.) – Maintenance Supervisors – Nationwide Click here for full details. August 28, 2014 – (, Dallas, TX , US) – Marketing Associate – Analytics & Data Management Services Product Marketing Click here for full details. August 28, 2014 – (, Sunnyvale, CA , US) – Worldwide Chief Technologist for Application Delivery Management Click here for full details. August 28, 2014 – (, Nationwide Opportunities, Various States , U.S.) – Nationwide Opportunities Click here for full details. August 28, 2014 – (, Nationwide Opportunities, Various States , U.S.) – Production Supervisors – Nationwide Click here for full details. August 28, 2014 – (, Nationwide Opportunities, Various States , U.S.) – Service Managers – Nationwide Click here for full details. August 28, 2014 – (, Everett, Washington 98201, United States) – Operations Manager (Everett, WA) 2014-1724 Click here for full details. August 28, 2014 – (, Kent, Washington 98030, United States) – Operations Manager (Kent, WA) 2014-1723 Click here for full details. August 28, 2014 – (, Tacoma, Washington 98424, United States) – Operations Assistant (Tacoma, WA) 2014-1564 Click here for full details. August 27, 2014 – (, Fallbrook, CA 92028, USA) – IT System Administrator Click here for full details. August 27, 2014 – (North Carolina Central University, Durham, NC 27707, US) – Business & Technology Applications Specialist – 100705 Click here for full details. August 27, 2014 – (North Carolina Central University, Durham, NC 27707, US) – Administrative Support Associate – 100268 Click here for full details. August 27, 2014 – (, Washington DC Area, Dist. Columbia , US) – BUMED Acquisition Program Support Click here for full details. August 27, 2014 – (Cherry Hill NJ, Cherry Hill, NJ , USA) – Program Management Mgr / Manager, Spectrum Systems Click here for full details. August 27, 2014 – (Quantico, VA, Quantico, VA 22134, USA) – Budget Analyst II -Quantico, VA (2776) Click here for full details. August 27, 2014 – (, Quantico, Virginia , US) – Senior Editor/MAGTF Analyst (CE) Click here for full details. August 27, 2014 – (The University of Texas at El Paso, El Paso, TX 79968, USA) – Post Doctoral – 10023473 Click here for full details. August 27, 2014 – (The University of Texas at El Paso, El Paso, TX 79968, USA) – Police Officer IV – 10018889 Click here for full details. August 27, 2014 – (, 29 Palms, California 92278, United States) – AtN Standardization Analyst 2014-1647 Click here for full details. August 27, 2014 – (The University of Texas at El Paso, El Paso, TX 79968, USA) – Systems Analyst – 10019665 Click here for full details. August 27, 2014 – (The University of Texas at El Paso, El Paso, TX 79968, USA) – Enterprise Web Developer – 10022175 Click here for full details. August 27, 2014 – (The University of Texas at El Paso, El Paso, TX 79968, USA) – Enterprise Technology Customer Support Representative – 10019247 Click here for full details. August 27, 2014 – (The University of Texas at El Paso, El Paso, TX 79968, USA) – Deputy Director for the Paso del Norte Institute for Healthy LivingClick here for full details.  August 27, 2014 – () – Military Equipment Operator Click here for full details. August 27, 2014 – (Northern VIrginia, Vienna, Virginia 22181, USA) – Java Developers Click here for full details. August 27, 2014 – (, Ft. Collins, CO , US) – Storage Software Development Manager Click here for full details. August 27, 2014 – (, Dallas, TX , US) – Global Strategic Messaging Lead Click here for full details. August 27, 2014 – (, Merced, California 95343, USA) – Student Information Systems Manager Click here for full details. August 27, 2014 – (Marine Corps Logistics Command, Albany, GA , ) – Financial Improvement and Audit Readiness Analyst Click here for full details. August 27, 2014 – (Pearl Harbor, Hawaii, Honolulu, HI , ) – Calibration Readiness Coordinator Click here for full details. August 27, 2014 – (Naval Surface Warfare Center, Corona Detachment Seal Beach, Seal Beach CA. Some travel required., Corona, CA , United States) –Electronic Calibration & Maintenance Technician Click here for full details. August 27, 2014 – (, Seal Beach, CA , United States) – Computer Systems Analyst (DoD level 1) Click here for full details. August 27, 2014 – (Naval Surface Warfare Center, Corona, CA , USA) – Mechanical Calibration & Maintenance Technician Click here for full details. August 27, 2014 – ( Naval Surface Warfare Center, Corona, CA , USA) – Data Base Administrator (DoD IAT Level II) Click here for full details. August 27, 2014 – (Naval Surface Warfare Center, Corona Detachment Seal Beach, Seal Beach CA. Some travel required., Seal Beach, CA , United States) –Metrology, Calibration & Maintenance Engineer/Engineering Technician Click here for full details. August 26, 2014 – (, Tacoma, Washington 98424, United States) – Data Specialist 2014-1721 Click here for full details. August 26, 2014 – (, Houston, Texas 77054, United States) – Recruiter 2014-1711 Click here for full details. August 26, 2014 – (, Virginia Beach, VA 23462, United States) – SHRUB SPRAY TECH (Overtime, Doubletime & Benefits) – Va. Beach Click here for full details. August 26, 2014 – (, Virginia Beach, Virginia 23462, United States) – LANDSCAPE TECH ($10/hr. starting, Overtime, Doubletime & Benefits) – Va. Beach Click here for full details. August 26, 2014 – (, Camp Pendleton, CA , USA) – THEATRE BATTLE MANAGEMENT CORE SYSTEM (TBMCS) INSTRUCTOR Click here for full details. August 26, 2014 – (29 Palms, CA, Twentynine Palms, CA , USA) – INTELLIGENCE ANALYST Click here for full details. August 26, 2014 – (Fort Belvoir, VA, Fort Belvoir, VA 22060, USA) – Program Analyst Level III (JPM BDTx) – Ft. Belvoir, VA (2773) Click here for full details. August 26, 2014 – (, Alexandria, Virginia , United States) – Administrative Support Assistant Click here for full details. August 26, 2014 – () – Senior Logistics Coordinator Click here for full details. August 26, 2014 – (201 Church Street, Nevada City, , CA 95959, ) – Click here for full details. August 26, 2014 – () –  Junior Software Developer/Engineer Click here for full details. August 26, 2014 – () –  Cyber Systems Test & Evaluation (T&E) Engineer Click here for full details. August 26, 2014 – () –  Junior Engineer Click here for full details. August 26, 2014 – () –  Senior Software Engineer Click here for full details. August 26, 2014 – () –  Software Engineer Click here for full details. August 26, 2014 – () –  Production Manager Click here for full details. August 26, 2014 – () –  Database Manager Click here for full details. August 26, 2014 – () –  Senior Systems Analyst Click here for full details. August 26, 2014 – (, Kirkland , Washington 98033, U) – Outbound Operations Agent 2014-1722 Click here for full details. August 26, 2014 – (MCB Quantico, Quantico, VA 22134, United States) – MCISR-E Service Desk Administrator Click here for full details. August 26, 2014 – (, Oak Brook, IL 60523, United States) – Business Development Analyst Click here for full details. August 26, 2014 – (MCB Quantico, Quantico, VA 22134, United States) – MCISR-E Systems Engineer Click here for full details. August 26, 2014 – (MCB Quantico, Quantico, VA 22134, United States) – MCISR-E Network Administrator Click here for full details. August 26, 2014 – (, Suitland, MD 20747, United States) – Network Systems Engineer Click here for full details. August 26, 2014 – (MCB Quantico, Quantico, VA 22134, United States) – MCISR-E Integration Engineer Click here for full details. August 26, 2014 – (Alexandria, Alexandria, VA 22314, ) – Sr. Public Health and Preparedness Analyst Click here for full details. August 26, 2014 – (, El Paso, TX 79924, US) – Project Manager – SBS (1859-205) Click here for full details. August 26, 2014 – (, Fremont, CA , US) – Senior Software Engineer Click here for full details. August 26, 2014 – (, Los Angeles, California 90095, USA) – Procurement Card Administrator Click here for full details. August 26, 2014 – (, Reston, Virginia , US) – Navy Capture Manager Click here for full details. August 25, 2014 – (, Los Angeles, California 90095, United States) – P2P Project Manager (Purchasing) Click here for full details. August 25, 2014 – (The University of Texas at El Paso, El Paso, TX 79968, USA) – Accounting Specialist – 10019118 Click here for full details. August 25, 2014 – (, Tampa, FL , USA) – Senior Programmer/Analysts & Operations Research Systems Analyst Click here for full details. August 25, 2014 – (The University of Texas at El Paso, El Paso, TX 79968, USA) – Sr. Development Researcher Click here for full details. August 25, 2014 – (The University of Texas at El Paso, El Paso, TX 79968, USA) – Director of CETaL – 10023186 Click here for full details. August 25, 2014 – (The University of Texas at El Paso, El Paso, TX 79968, USA) – Auxiliary Services Support – 10024496 Click here for full details. August 25, 2014 – (The University of Texas at El Paso, El Paso, TX 79968, USA) – Compliance Coordinator (School of Nursing) – 10060132 Click here for full details. August 25, 2014 – (The University of Texas at El Paso, El Paso, TX 79968, USA) – Senior Systems Programmer – 10023128 Click here for full details. August 25, 2014 – () – Medical Biologics Scientist, Ft. Detrick MD Click here for full details. August 25, 2014 – () – Aerospace Analyst, NASA Click here for full details. August 25, 2014 – () – Senior Financial Analyst Click here for full details. August 25, 2014 – () – Journeyman IED and Insurgent Network Analyst (JA) Click here for full details. August 27, 2014 – (North Carolina Central University, Durham, NC 27707, US) – Paralegal – 100117 Click here for full details.